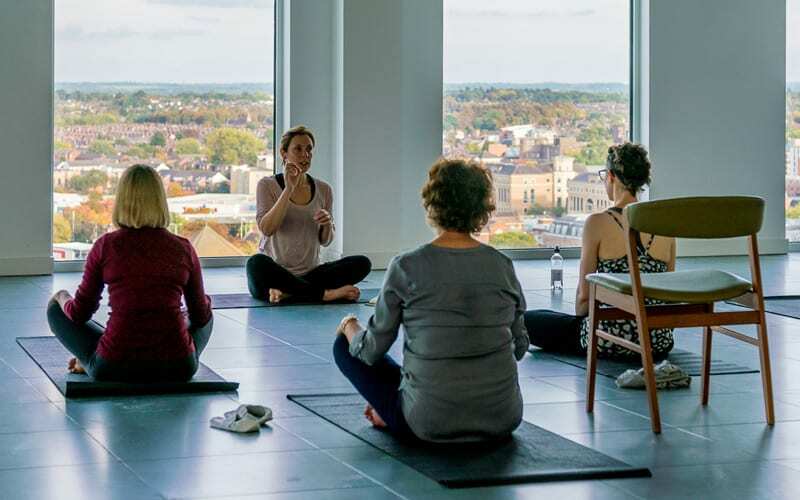 We deliver yoga and mindfulness sessions in office spaces tailored to fit around the working day: morning, lunchtimes and after work. These sessions use breathing and meditation techniques to encourage high-quality relaxation and grounding. Ideal for combating stress. We provide calm and dynamic classes. Calm classes hold poses for time and use breathing techniques to relax the body and mind. Dynamic classes lift the heart rate and tone the body. Wellbeing sessions and bespoke programmes designed in partnership with you. To discuss our Office Yoga programmes. All of which are known to contribute to increased employee motivation and performance levels, staff retention and an enhanced sense of wellbeing. Join the list of progressive companies recognising the impact wellbeing makes to overall corporate performance. in action on BBC South Today!